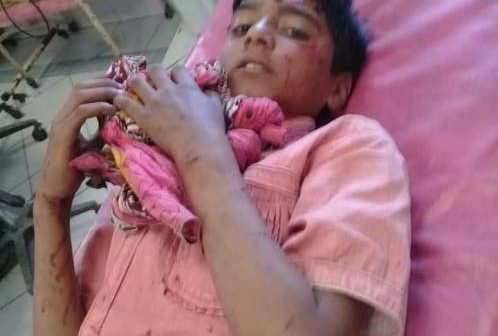 SIALKOT (By Abid Mehdi) A minor school boy innocent Usman Sajjad (eight years old) was injured seriously, as he received serious wounds after being bit by local landlord’s pet dangerous dog. Accused landlord Saleem unleashed this dog on the child while passing through the village street in village Kaaley Raawaan, Sialkot tehsil. According to the local people, the accused landlord Saleem had a pet dog in his house to keep the unwanted people away from his house. This dog was a sign of terror due to which the local people were much terrified by this dog and its barking as well. Accused decided to check/test the bravery of this dog. Child Usman Sajjad, a 2nd class student, was passing through the village street, when accused Saleem unleashed this dog on the child. The dog bit this innocent boy badly on almost all the parts of his body. According to locals innocent child received very critical dog bite wounds and during this, the accused continuously laughed at this performance of his dog by standing there at the doorsteps of his house. Some other people listened the hue and cry of this innocent child and saved his life from the dog. The victim was taken to Govt. Allama Iqbal Memorial Teaching Hospital Sialkot by the local people. He was admitted there in very critical condition. 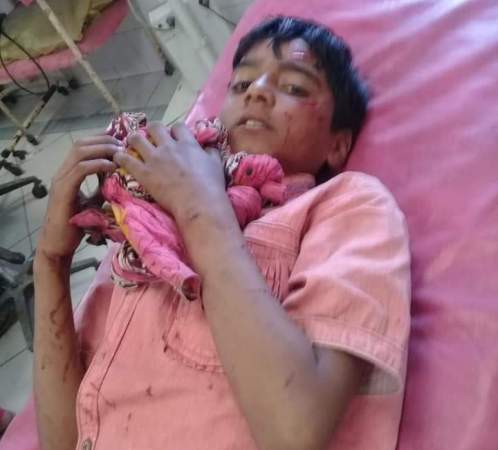 Doctors said that the victim child Usman was much terrified after this brutality and his condition was very dangerous despite being given the medical treatment there in the hospital. Meanwhile, on the report of Sajjad Mehmood(victim’s father), the Sialkot Saddar police have registered a case (No. 369/2019) against accused Saleem under sections 289, 337-A(I), 337-A(II),337-F(I) and 337-L(II), said the local senior police officials. Police investigator sub inspector Altaf Ishaq told that police have arrested the accused and sent him behind the bars. He said that further investigations were underway.